By diving deep into 5 different variations for White, ranging from the super-solid Fianchetto System to the wildly complicated Classical Variation, IM Paikidze helps you choose the ideal setup for your playing style, the tournament situation, and other personal preferences. When learning a new opening, the very last thing that an improver or busy person needs to be confronted with a lot of information. 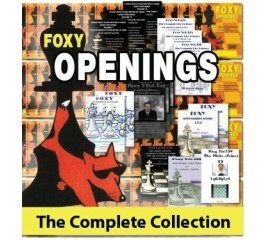 You don't need books hundreds of pages thick.The only thing you need at the beginning is good advice and this is exactly what this new Foxy Openings Series will provide. 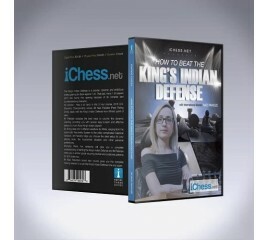 On this DVD, International Master and FIDE Senior Trainer Andrew Martin will get you up and running with the King's Indian Defense. You will be ready to play this opening in your games. 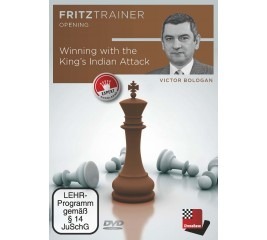 In this new DVD Victor Bologan explain the King's Indian Attack, in his own words "The opening is easy to prepare but it’s important to remember that the King’s Indian Attack is more about ideas and plans and less about forced and complicated lines." Tired of Bad Positions? Try the Main Lines! When Boris Avrukh released his 1.d4 repertoire books in 2008 and 2010, they caused a sensation. Volume 2A is the third out of four brand new volumes in which Avrukh revamps, expands and generally improves upon his previous work in every way possible. 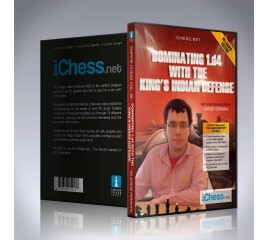 This chess book provides a world-class repertoire against the Grünfeld and King's Indian, two of Black's most popular and dynamic defenses. Combating the King's Indian and Benoni with 6. Bg5! 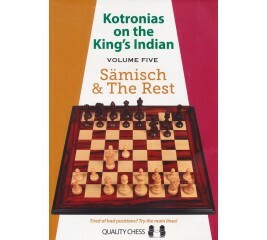 The Sämisch variation is a powerful method to counter the popular King's Indian Defence. The key move is the advance f2-f3, consolidating White's central space advantage and limiting Black's options for counterplay. 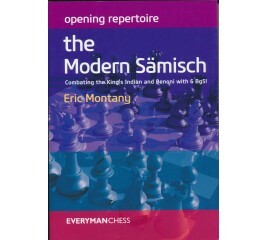 In the traditional Sämisch White develops the queen's bishop on e3 but in the modern version, as explored in this book, the move Bg5 is preferred. he King's Indian is a hugely popular opening at all levels of chess. Rather than attempting to secure early equality, Black is fighting for the initiative from the very first moves. White is allowed to build up an early central advantage but Black relies on the middlegame, hoping that the central installations that White has constructed will become unwieldy and vulnerable to a devastating counterattack. In many variations, White pursues material or strategic gains but in return Black has tactical and attacking opportunities. 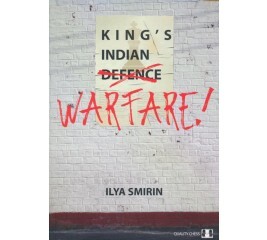 The King's Indian Defence appeals to players who arrive at the board prepared for a fight. 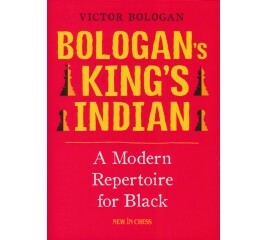 Grandmaster and acknowledged chess opening expert Victor Bologan presents a complete King's Indian repertoire for Black that is much more than just a lucidly explained and very playable set of responses. With this book under your belt you can go to your next tournament with confidence. You will win many exciting games with Bologan's King's Indian! 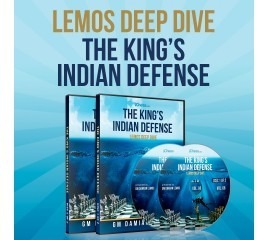 King’s Indian Warfare is a practical guide to the most dynamic and ambitious defense against 1.d4. 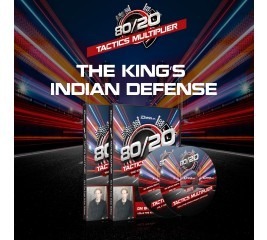 Learn to play the King’s Indian like a world-class attacker from a life-long expert. Smirin explains the main themes in the King's Indian and annotates his best games with the opening, carefully explaining the basis for his many successes. 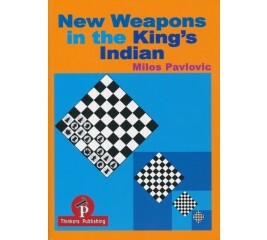 In this book, Grandmaster Milos Pavlovic investigates one of the most popular openings: the King's Indian, with a focus on little explored dynamic ways to counter the basic White system. 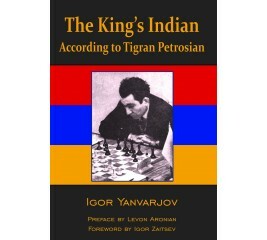 The all-time greats Petrosian and Gligoric lend their names to systems examined after the further 5.Nf30 O-O 6.Be2 e5, with 7.d5 and 7.Be3 respectively, while the dreaded Exchange Variation 7.dxe5 is also discussed and dismantled. Dynamic coverage of Makogonov's 5.Nf3/6.h3, Karpov's 5.h3/6.Be3, Larsen's 5.Nf3/6.Be3 and Averbakh's 5.Be2 completes this extensive work. The Kings Indian Defense (KID) is the perfect weapon against 1.d4 for players who like to play for a win with both colors. IM Jorge Ferreira reveals all of the insider secrets of the KID as he guides you through 14 different variations, pointing out the common elements and the important distinctions. 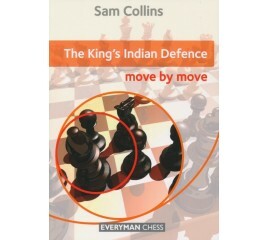 If you like fighting for a win with Black then the Kings Indian Defense is the ideal opening weapon to face 1.d4 with. Despite an initial lack of space, Black has a multitude of pawn breaks and piece maneuvers to help get powerful attacking positions. On this DVD, IM Richter looks at the different ways Black can respond to White’s various plans in the KID, from the steady blocking of White’s Queenside expansion to the frenetic attacking lines where Black sacrifices material all over the board to get at the King. 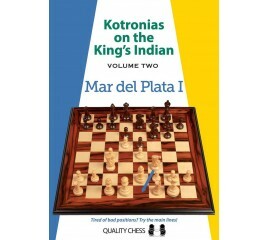 In this, the second volume of the Kotronias on the King’s Indian series, grandmaster Vassilios Kotronias turns his attention to the main line of the famous Mar del Plata variation, which arises after the opening moves 1.d4 Nf6 2.c4 g6 3.Nc3 Bg7 4.e4 d6 5.Nf3 0–0 6.Be2 e5 7.0–0 Nc6 8.d5 Ne7 9.Ne1. 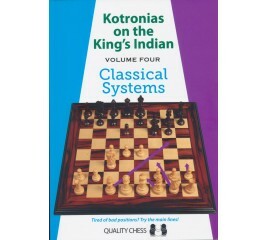 This leads to some of the most complicated and theoretically challenging positions in the King’s Indian, but Kotronias provides a world-class repertoire for Black, including a wealth of original ideas and analysis. 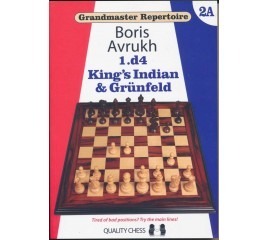 The King’s Indian and Grunfeld are notoriously tricky and theoretical openings. The Fianchetto variation avoids the main lines which Black players enjoy, and goes for a small but safe edge. 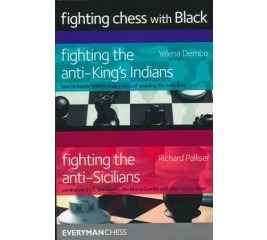 Many people fear playing against the King’s Indian because of Black’s ability to attack the White King, but in the Fianchetto variation it is very hard for Black to generate any attacking chances, instead play is often positional, with White having slightly more space for his or her pieces. 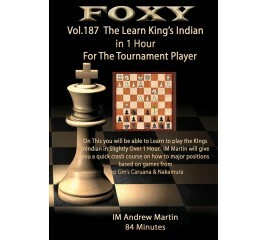 In this DVD, the author has gone a long way to finding the best lines for White to gain an advantage against Black’s various responses. 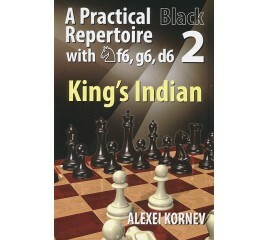 In the classical system of the King’s Indian White develops naturally and refrains from chasing ghosts looking for a refutation of Black’s set-up. White instead relies on the fact that natural play should yield him a small but lasting advantage. Many great players of the past and the present have used and use this system successfully. The videos explaining the Mar del Plata Attack (which form the main part of this DVD) offer strategic guidance and show typical tactical ideas, while presenting a detailed, solid and aggressive repertoire. 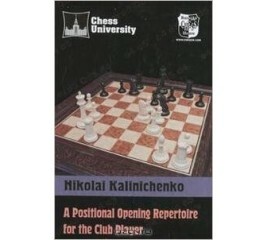 Nikolai Kalinichenko, an international grandmaster in correspondence player and author of some 40 chess titles, presents here a complete and up-to-date opening repertoire. It is intended for players of positional style, or for use when the competitive situation demands a solid approach. 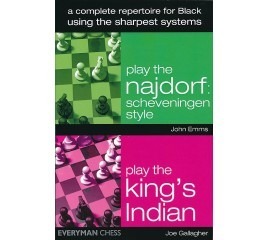 The repertoire is based on 1. e4 as White and the Classical Sicilian and King's Indian Defence as Black. 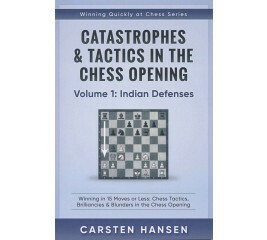 The King's Indian Defense was one of World Chess Champion Gary Kasparov’s important weapons throughout his career. 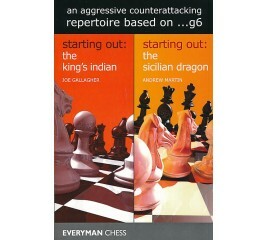 Kasparov introduced innumerable new King's Indian ideas into tournament practice and has won outstanding victories against many of the world's leading players using the KID. 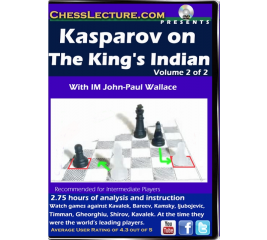 In this exciting 8 lecture series John-Paul examines Kasparovs use of the KID in games with Kavalek, Bareev, Kamsky, ljubojevic, Timman, Gheorghiu, Shirov, Kavalek. Opening Trends series, David - who calls the King's Indian ''The Great Equalizer'' - analyzes the King’s Indian, Samisch and how it is regaining popularity because white is less afraid of it. He also looks at the trendy new ideas for White in the Bayonet, and a topical line for Black in the Bayonet, and reviews Carlsen playing the Averbakh Variation and a line that Nakamura plays in the KID. 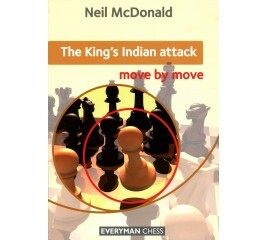 In this book, Grandmaster Neil McDonald examines in depth the many variations of the King's Indian Attack. 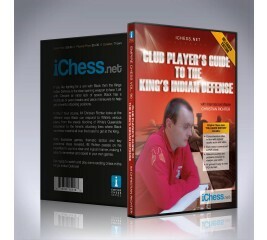 He outlines White's most promising options and Black's best defences, and provides answers to all the key questions. 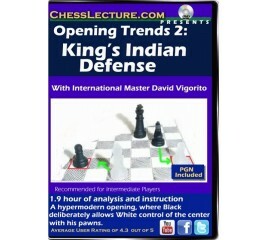 *Essential guidance and training in the King's Indian Attack *Provides repertoire options for White *Utilizes an ideal approach to chess study.